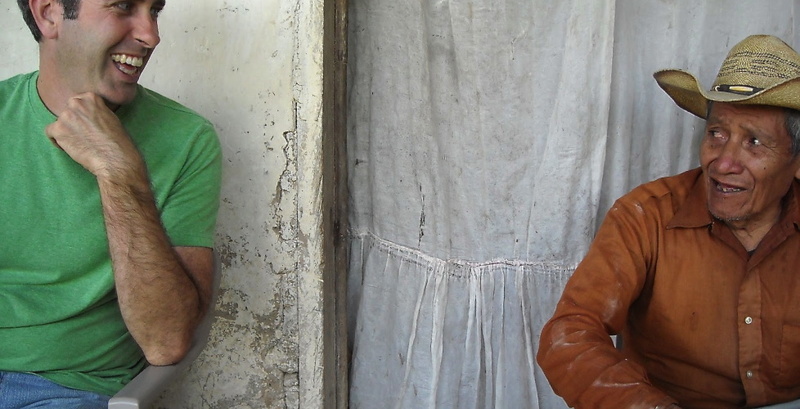 He connected with Honduran coffee farmers to purchase and roast premium coffee, creating “HOPE Coffee” to sell as a souvenir to those visiting Honduras. 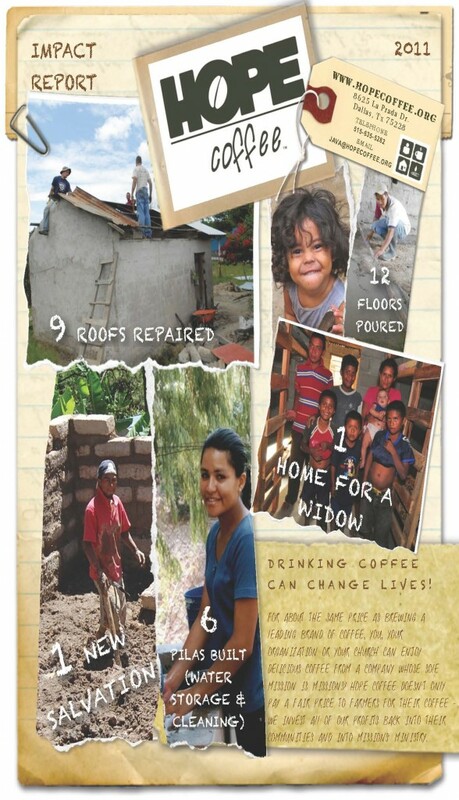 He connected with Honduran churches, partnering with them to identify community outreach projects which proceeds from HOPE Coffee sales would fund. 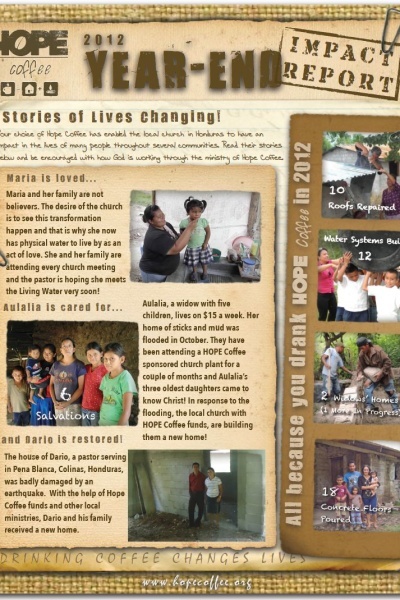 When those visiting Honduras on mission trips encountered HOPE Coffee and learned about the impact it had on local Honduran communities, they began to purchase HOPE Coffee from Mark. 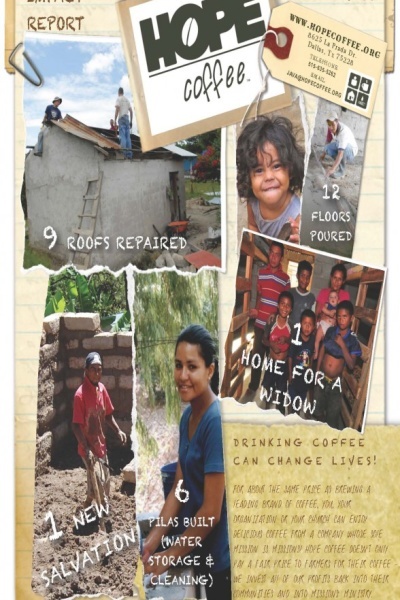 After arriving back home and brewing HOPE Coffee, many realized that this coffee was not just a way to support Honduran missions, but a roast that they wanted to use again and share with their friends, family, churches and businesses. 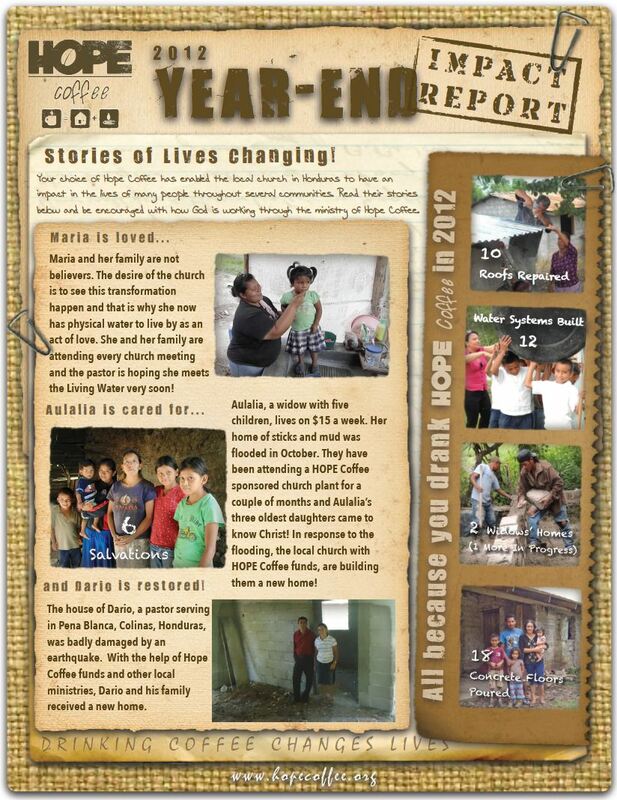 Before he knew it, Mark was not just selling coffee to visitors to Honduras, but was inundated with requests to send HOPE Coffee to those in the U.S. Noting this increasing States-side demand, Camino Global commissioned a team to investigate starting a U.S.-based HOPE Coffee in 2010. With wisdom and direction from our Lord, Mark Fittz, Brian Masters and Peyton Millinor were able to successfully bring the details of this “Kingdom Business” together, and the same great HOPE Coffee once found only in Honduras can now be purchased in the U.S.
High quality: strictly high grown above 4,000 feet. 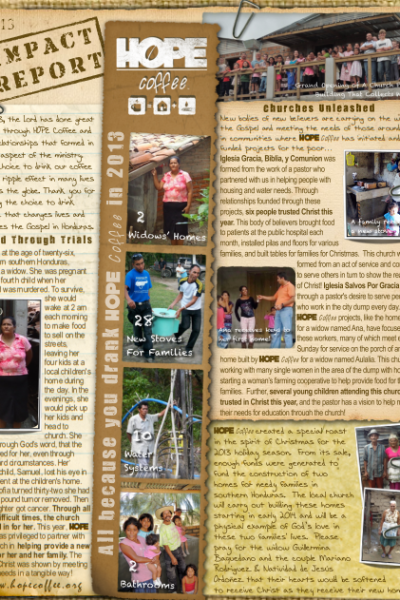 With the profits of HOPE Coffee, water and shelter needs for many families have been met through servant evangelism projects headed by the Honduran local church since 2009. Through these projects, not just physical needs were met: many beneficiaries also heard the Gospel and close to 20 made a decision for Christ! 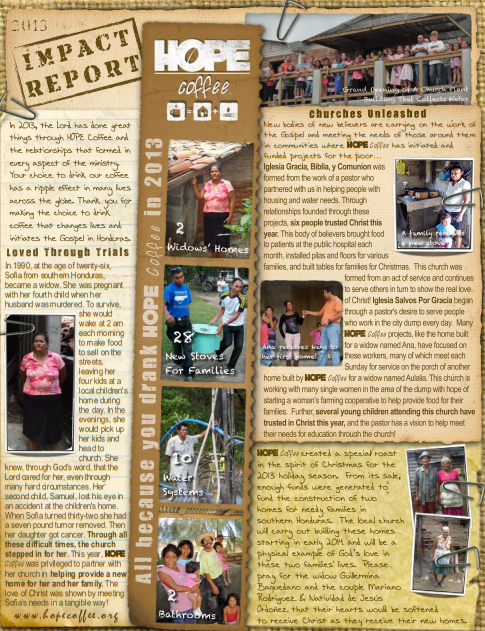 You can see current results in our Impact Reports.